(Image; Reprint edition, 1984) page 63. The Indians around here tell a cautionary fable about a great saint who was always surrounded in his Ashram by loyal devotees. For hours a day, the saint and his followers would meditate on God. The only problem was that the saint had a young cat, an annoying creature, who used to walk through the temple meowing and purring and bothering everyone during meditation. So the saint, in all his practical wisdom, commanded that the cat be tied to a pole outside for a few hours a day, only during meditation, so as to not disturb anyone. This became a habit – tying the cat to the pole and then meditating on God – but as years passed, the habit hardened into religious ritual. Nobody could meditate unless the cat was tied to the pole first. Then one day the cat died. The saint’s followers were panic-stricken. It was a major religious crisis – how could they meditate now, without a cat to tie to a pole? How would they reach God? In their minds, the cat had become the means. Be careful not to get too obsessed with the repetition of religious ritual just for its own sake. It can happen that we get so caught up on the externals that we lose sight of the essentials. Religion and tradition can give us false security and complacency. It may be useful to remember that it is not the tying of the cat to the pole that has ever brought anyone to transcendence, but only the constant desire of an individual seeker to experience the eternal compassion of the divine. Flexibility is just as essential for divinity as is discipline. The story of the guru’s cat is an encouragement and an invitation to review what we do habitually and to ask: Why do we do what we do? Why do we say what we say? Why do we use what we use? Is what we’re doing still appropriate and beneficial today? Is what we’re doing on a daily basis still achieving what it was originally intended to do? Or is it perhaps becoming a distraction, clutter, confusion … another guru’s cat? We can, as Christians, get narrow and closed-minded, petty, bitter and exclusive. We can become more holy than God where perfection becomes the enemy of the good. But we can also go long and deep, broad, expansive and inclusive! “God first led me by the hand,” he said, “into the Land of Action, and there I dwelt for several years.” Then God returned and led me to the Land of Sorrows; there I lived until my heart was purged of every inordinate attachment. That is when I found myself in the Land of Love, whose burning flames consumed whatever was left in me of self. This brought me to the Land of Silence, where the mysteries of life and death were bared before my wondering eyes. 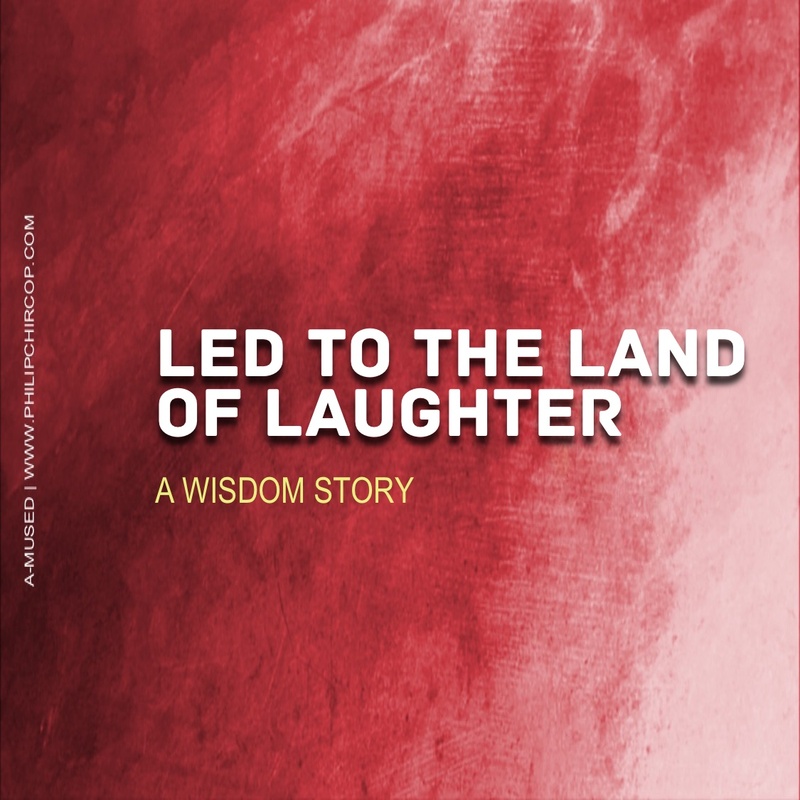 One day God said, “Today I shall take you to the innermost sanctuary of the temple, to the heart of God himself,” and I was led to the Land of Laughter. God laughed and begat the Son. Together they laughed and begat the Holy Spirit. And from the laughter of the Three, the universe was born.” | Meister Eckhart, a 13th century theologian and mystic. WHO IS THE REAL MENACE? The Ministry of Agriculture decreed that sparrows were a menace to crops and should be exterminated. When this was done, hoards of insects that the sparrows would have eaten descended on the harvest and began to ravage the crops, whereupon the Ministry of Agriculture came up with the idea of costly pesticides. The pesticides made the food expensive. They also made it a hazard to health. Too late it was discovered that it was the sparrows who, through feeding on the crops, managed to keep the food wholesome and inexpensive. Before rushing towards what you might think would be a better solution, consider what is already in place. Author philipchircopPosted on January 21, 2015 Categories Anthony de Mello SJ, Wisdom storiesTags Anthony de Mello, birds, crops, ministry of agriculture, pesticides, sparrows, stories1 Comment on WHO IS THE REAL MENACE?